With this solution, FUJIFILM will in future be focusing on comprehensive data services with a seamless security strategy. Be it labelling and initializing, data migration, data conversion, data recovery, health check or laser etching, all of FUJIFILM’s services will be carried out by specialists under clean-room conditions. All services will be delivered in the shortest possible time and in full compliance with the ISO 9001 certificate. Thanks to these innovative technical services, which are provided from a single source, data backup procedures can now be set up with considerably greater efficiency. FUJIFILM will be offering these services, along with data disposal, from now on – especially for its data storage products. 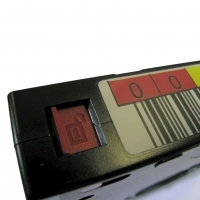 In the Enterprise sector, these include the FUJIFILM Tape Cartridges 3592, while in the Midrange sector, the relevant products are FUJIFILM Tape Cartridges LTO (all generations), DLT IV and SDLT. In addition to this full-service solution for the particular requirements of the Enterprise and Midrange sector, FUJIFILM also offers something rather special - transparency. This is because, as soon as an order is placed, you receive your personal ID number. Using this number, you can use our online tracking function to find out the production status of your order at any time. But what is the real, crucial advantage of choosing a FUJIFILM solution that is perfectly tailored to your company’s needs and spans everything from data media to data service? FUJIFILM, as a leading manufacturer, knows everything there is to know about data media. We know how they can be protected. We know how data can be recovered, repaired, secured, how it can be definitively deleted, archived and also how it can be prepared. This not only gives your IT specialists peace of mind, but it also saves them considerable amounts of time, which they can use more efficiently.